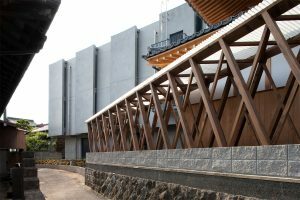 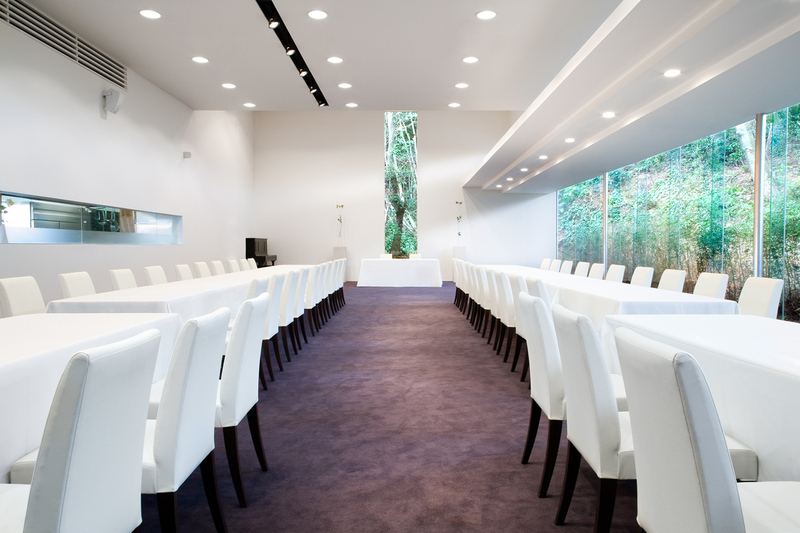 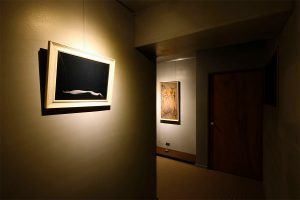 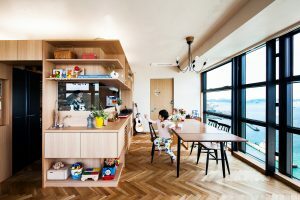 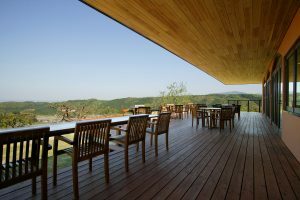 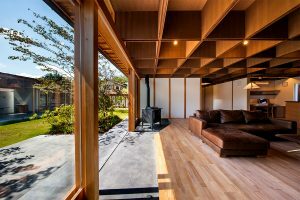 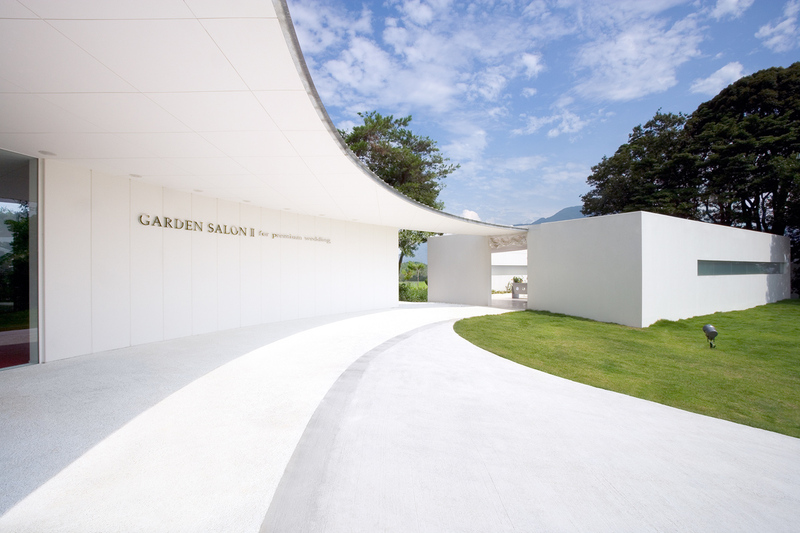 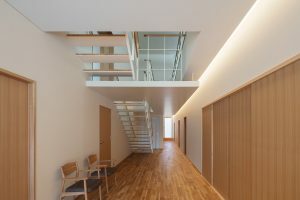 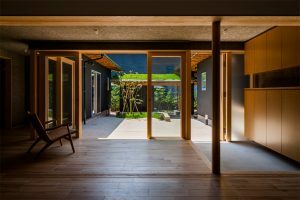 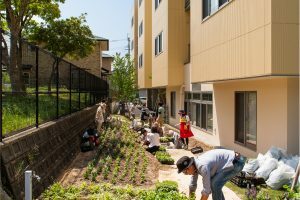 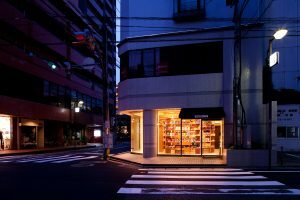 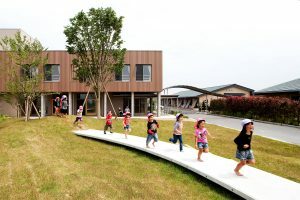 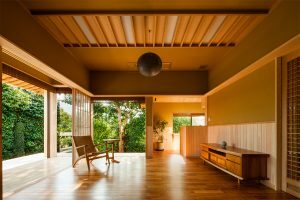 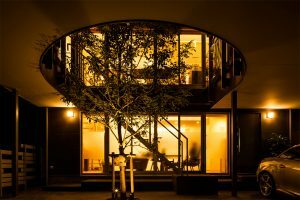 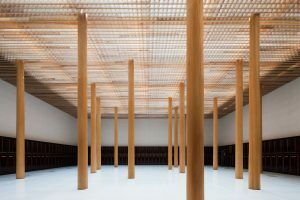 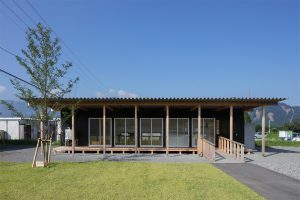 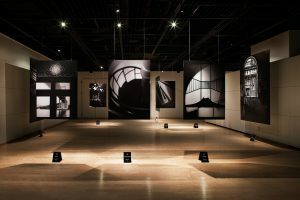 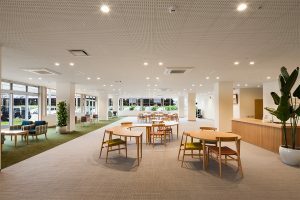 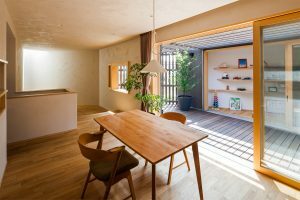 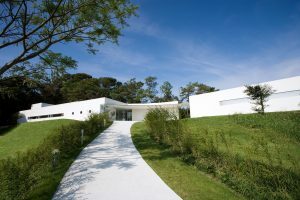 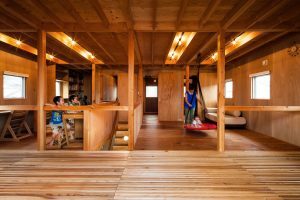 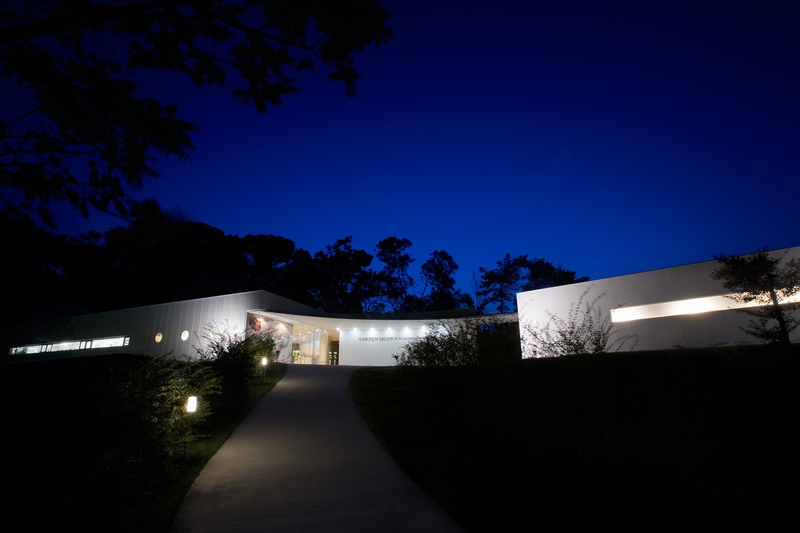 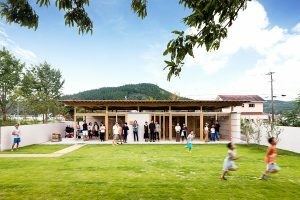 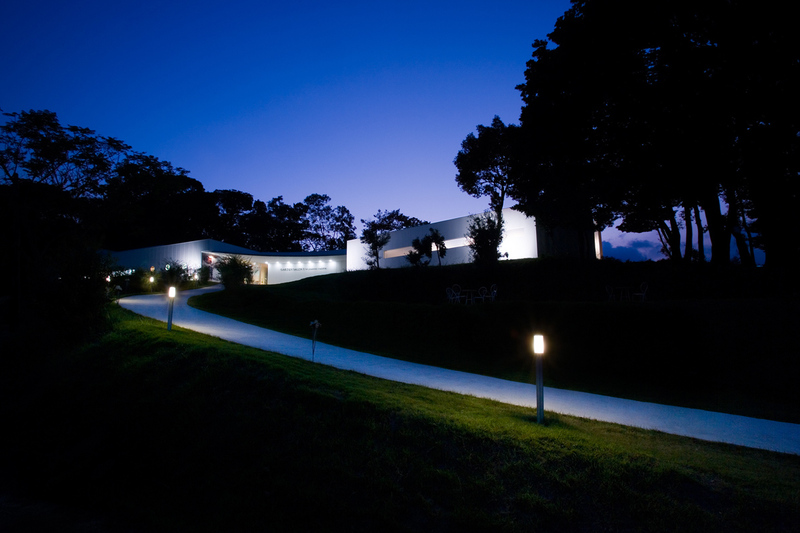 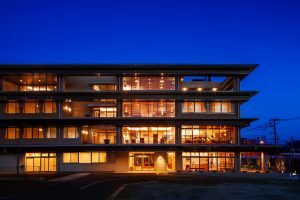 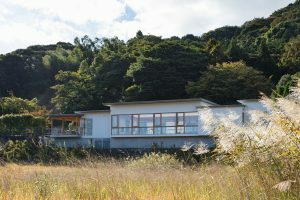 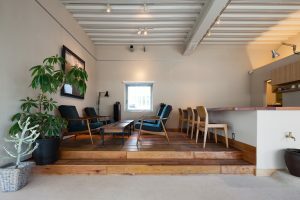 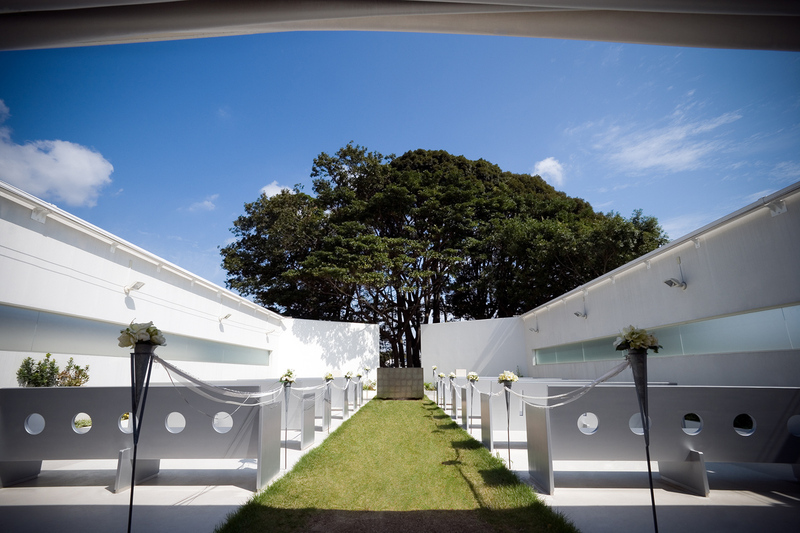 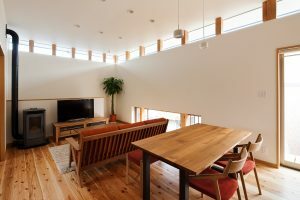 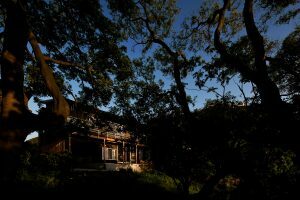 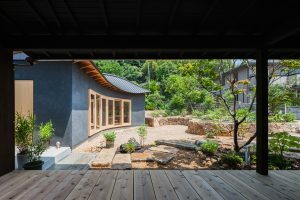 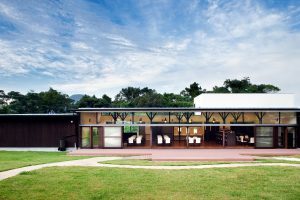 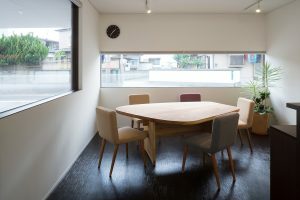 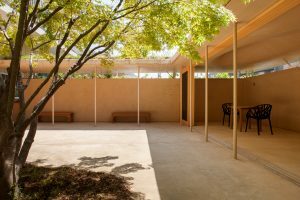 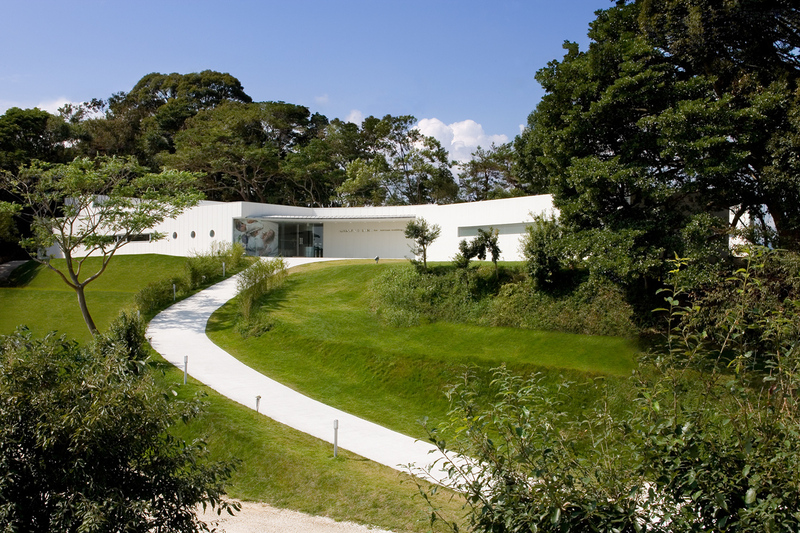 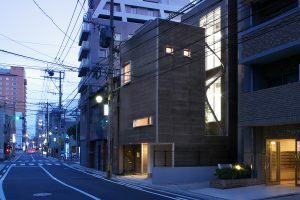 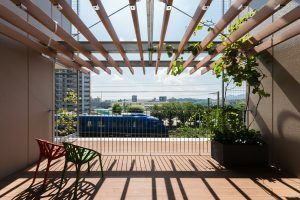 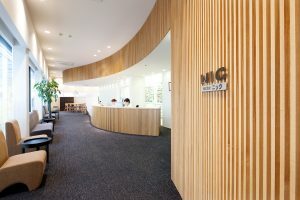 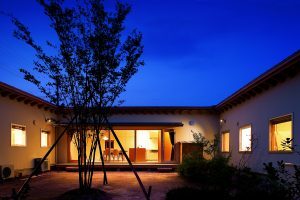 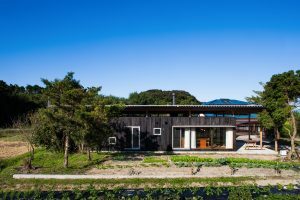 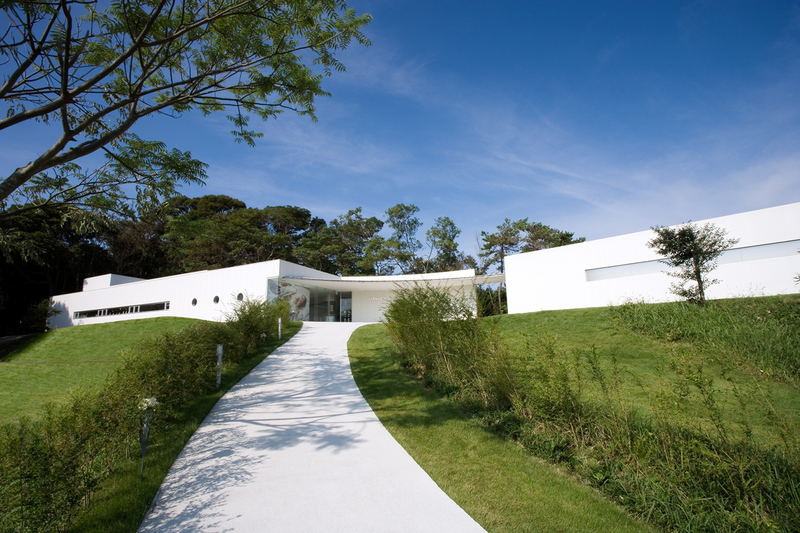 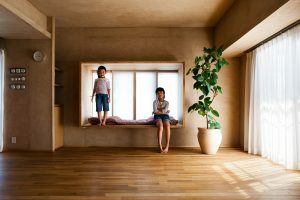 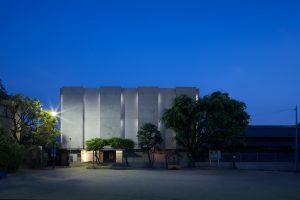 The second store of the garden salon was a wedding hall built in the hilly land left in the city of Kitakyushu city, planned to be able to do wedding indoors and outdoors while keeping the topography unchanged, making full use of abundant existing trees. 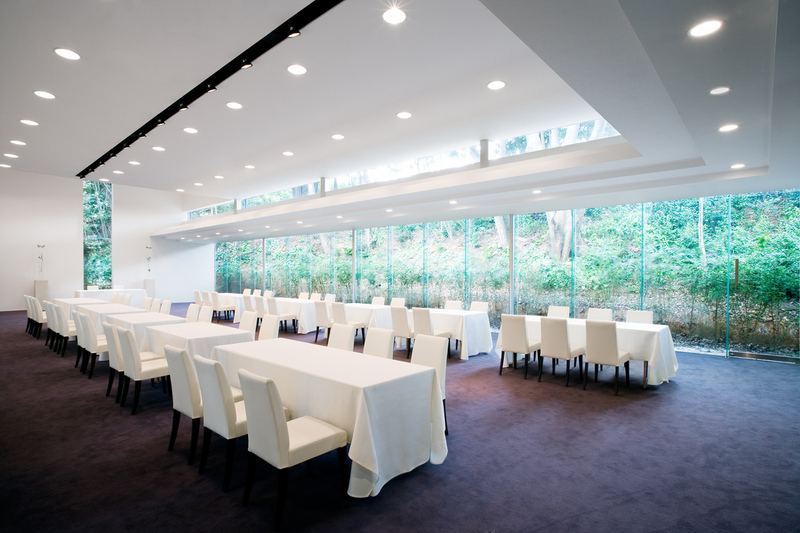 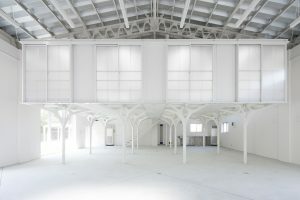 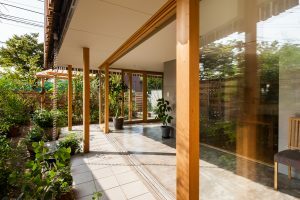 In this plan, the theme was how to incorporate outdoor "natural light" and "garden view" in the indoor ceremonial hall. 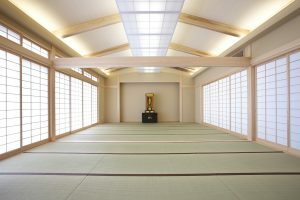 Therefore, the opening on the garden side was divided into upper and lower two stages, and each purpose was given (Picture 5). 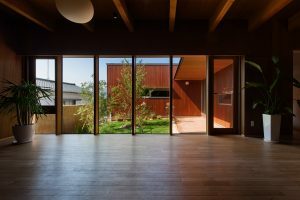 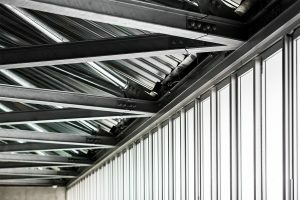 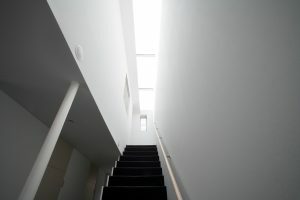 "Natural light" at the upper opening and "Garden view" at the lower opening. 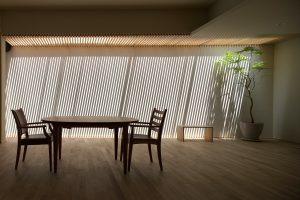 The light from the upper slit glass evenly diffuses in the back of the room so that you can grasp the movement of light changing every moment while indoors, embodying the concept of the plan in the name of this ceremony did. 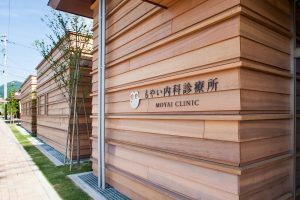 Moreover, I am fortunate that I limited the kind of finishing, I think that I could prepare a gorgeous costume and a place to shade green.